A lot of discipleship may be rooted in the Tree of the Knowledge of Good and Evil. Let me explain what I mean. The knowledge of good and evil passed down to every human being from Adam and Eve has programmed us to think a certain way. The world thinks, “I’m a good person if I do good things. I’m a bad person if I do bad things.” The Christian world thinks, “I’m a good Christian if I do the good things the Bible says to do. I’m a bad Christian if I sin.” All of that thinking is law-based instead of grace-based. Discipleship often has the goal of Christian behavior modification using Scripture to exhort a Christian to act good instead of bad. The focus is on changing behavior, not replacing the knowledge of good and evil thinking with Tree of Life thinking. In one sense, you might say this discipleship is trying to get Christians to jump from the bad side of the tree to the good side. But the good side is still the same tree and the fruit is legalism. I don’t think those who disciple this way have evil motives or are aware of what they are doing. They just do it because that is how they were taught. I was once one of them! God wants our discipleship to be rooted in the Tree of Life so He can produce the fruit of the Spirit. This means, He wants to replace our stinking thinking with grace based thinking. No wonder Paul didn’t tell the Roman Christians to do anything for the first eleven chapters! He strategically explained the Gospel of grace line by line. He only told them to believe and yield to God in Romans 6:11 and 14 Consider yourselves to be dead to sin, but alive to God in Christ Jesus. Present yourselves to God as those alive from the dead, and your members as instruments of righteousness to God. 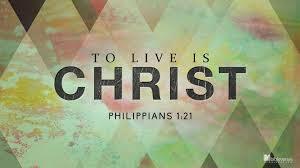 Then, in chapter 12, he tells them to let Christ live through their bodies and to live with a renewed mind. What he meant was, he wanted them to let the clear Gospel message he had written to them push out their knowledge based thinking with grace based thinking. After making it clear to them that they have a new identity in Christ which loves to please God, he tells them how believing this will change their behavior to what pleases God. Do you ever find yourself tired of trying to change your behavior to line up with Scripture? Are you worn out? That’s what burned me out 25 years ago until God broke through my garrison of legalistic discipleship and began to replace it with grace discipleship. The first one almost killed me. The latter has given me a life of freedom, I could have never imagined, which I am still growing in. The Lord had showed Paul that he was to live on Earth, surrendered to Christ. In Galatians 2:20 Paul wrote, “it is no longer I who live but Christ lives in me.” All of God’s children are in a lifelong training program of learning to live surrendered to Him, walking by faith. When we walk by faith as God leads us others see what He is like by the way we live. Death for believers is: going to be with our Father into His indescribable joy and pleasure. On Earth, God has a path for us characterized by life. If we walk this path by faith, surrendered to Christ, we will experience joy and pleasure here, even though our circumstances may be sorrowful. Paul points out in this passage that his ministry is to proclaim the one thing that sets Christianity apart from all other religions; “Christ in you.” Major Ian Thomas addresses this very clearly his book The Mystery of Godliness. The word godliness is a contraction of the words ‘god likeness’. This is the plan God is using to complete in every man and woman. Most people say a person becomes godly when they learn to act better and then they qualify for a close relationship with God. But the work of Christ is to place Himself in a person; godliness then, is the outward expression of Christ who lives in that person. Godly behavior is the product of the close relationship a child of God has with their Father and not the cause of a close relationship with Him. First we receive Him by faith second we express Him by faith. The world tells us we are incomplete even at our very best. Under this reasoning we find ourselves always striving to become something better. However, if you are in Christ you are complete. All the parts are there. Just like buying a new computer loaded with all the hardware and software, it is complete but most of us don’t know how to access and enjoy the benefits of what we have unless we are trained. According to Hebrews chapter twelve, the Father is training His children to access and enjoy the benefits of all that is now true of them as a result of new birth. By the way, He is in charge. So what He says is true and what He does succeeds. These three verses have probably been misunderstood as much as any in the Scripture. Many times people try to make them stand alone instead of seeing them in context. Everything up to this point in the book of Colossians is pointing us to a life of Christ likeness through His indwelling presence within us. We are told this life will be evidenced by forgiveness, love which is the perfect bond of unity, letting peace rule our hearts and many other godly attributes. So these three verses are merely a description of what the relationships in our families will look like as Jesus lives through us. When we are walking in the Spirit our close relationships will display harmony with others characterized by serving each other, respecting those with responsibility to lead, being sensitive and loving to those who are gifted with a tender makeup and encouraging those who are just learning so they won’t develop an “I’ll never make it so why try” belief system. “Love covers a multitude of sins.” If we spend time meditating on 1 Corinthians 13, the Love Chapter, we will see that in order to maintain any relationship we will have to look past what people do to who they are and their value. This does not mean we do not “speak the truth to one another in love.” But, if others must be without flaw in their behavior before we can have a relationship with them, we will never have or keep a relationship. Love keeps us bonded together when other things would separate us. Notice it says “Let peace rule”? If we let anger, bitterness or mistrust rule us we will never experience peace. Through forgiveness we can clear the record of debts others owe us and be at peace. When we are walking in love, unity and peace, an attitude of gratitude will begin to take over as opposed to one of entitlement. NASB version was used unless otherwise noted. I can’t help feeling lost and incomplete right now. I know it’s just a feeling and a lie, it’s not the truth, but it’s challenging separating the truth from the lies when your feelings are all over the place. And I know I have to feel. I have to walk through this time of grief and trust that the Lord will heal my broken heart in due time. I keep picturing my husband walking through the door, “Hi, Hon! How was your day?” and then the reality that he’s never going to do that again hits me like a train going 100 miles an hour. A year ago at this time, we had each other, and while life was not without it’s challenges, we faced them together. For 36 years, we belonged to each other, but it wasn’t until now that I realized just how temporal that belonging is. There is a greater belonging where my identity and completeness come that never ends. We are born with a need to belong, to be intimately connected and have our identity in someone and that someone is God. Only He can answer the question that lies at the heart of man, “Who am I?” Only He can complete us and give us purpose. Our home can only be found in Him. Turn Your Gaze to the Son for Life! The voice of the Spirit and God’s Word are healing and life to us. Why? Because we and God’s Word are affinities. We belong together. Jesus said in John 6:63, “My words are spirit and they are life.” When a flower turns its gaze to the sun, S-U-N, it opens with life. This is because the flower and sunlight are compatible; you could even say made for each other. In the same way, when a human being turns his or her gaze to the Son, S-O-N, they open with life just like the flower. Simply because we are compatible with Christ. The Whole Grace Message is the Only Message that Fits! I took one of those Facebook surveys last week to measure my level of OCD (obsessive compulsive disorder). Obviously it was not an in-depth test and I also thought it could be seen as making light of what is actually a debilitating illness for many people. I like things to fit. I like things to connect properly. I think that is a significant factor for why I so readily got on board with the Grace Message. It fit. It made things make sense that had not previously fit. It took the Bible at literal face value. It was scripturally honest. It didn’t have to explain away inconsistencies or contradictions that I had been taught the seminary answer to. The more I learn about it, the more I realize that the whole Grace Message is the only message that fits. And I do like that. Dr. Joe Langley is the founding pastor of Park Meadows Church in Waxahachie, Texas. Because Christ lives within you, instead of earning His love through religious self effort, you can now love from the love HE supplies. You can now live holy from the holiness HE supplies. No fear of ever running out of anything that you need. When you get Him, you get all you need for life and Godliness (righteousness, holiness, love, mercy, etc…). You should never try to get by behavior what God has given you freely in Christ!